When James Leininger of Louisiana was 2 years old, he began having horrific nightmares of crashing in a plane. The boy said he was shot down by the Japanese, that his plane took off from the Natoma ship, and that he had a friend named Jack Larson. He also identified the site where he crashed, Iwo Jima, from a photograph. Iwo Jima is an island that the United States fought to capture in 1945. The Natoma was indeed involved in the Battle for Iwo Jima. One pilot died in the battle, and a pilot named Jack Larson was also on the Natoma. Leininger started saying he was the third James. The pilot who died in the Battle for Iwo Jima was named James Huston Jr. That would make James Leininger the third James if he is the reincarnation of this pilot. This boy’s case was recounted by Dr. Jim Tucker at the University of Virginia, a leading reincarnation researcher. 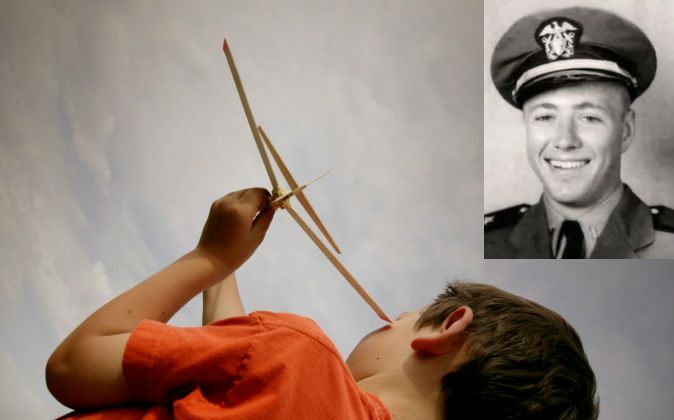 One skeptic, writing for the blog Skeptico, noted that the boy was taken to a military museum where he seemed transfixed by a WWII aircraft shortly before his nightmares began, as reported by the Pittsburgh Daily Courier. The skeptic said this visit, rather than past-life memories, may have caused the nightmares and that adult encouragement to remember his past life may have constructed the rest of the story. The blogger admits it is difficult to explain the names the boy recalled, though he essentially chalks it up to prompting from adults. Dr. Tucker said the boy’s father is an evangelical Christian who was completely resistant to the idea of reincarnation. Dr. Tucker takes into account parental enthusiasm when investigating reincarnation accounts, and he has often found children with unenthusiastic parents nonetheless have amazing stories to tell.